Finding the best guest post opportunities is only part of the work. If you want to take your blogs further, you should have in mind the steps mentioned below. Independent from the size of your site, bloggers are always looking for opportunities to grow. It makes no difference if you are experienced or on your early blogging days. Stagnation should never be in your dictionary. If you already write consistently and promote your posts on the social media, guest posting should be your next step to give your blog a boost. While having your guest post published on a prominent website is a great start, the work should not end there. Now that your post is out, you want to get the most out of the experience. Instead of sitting back and enjoying your achievement, there are ways you can take your guest post even further. Let’s have a look at 5 of them. It is true that with something as simple as Google search, you will be able to find various guest post opportunities. But let’s face it: they are not all the same. Guest posting requires a major effort from the writer. Between research, writing and editing, countless hours are spent in the production of your best content ever. You do not want your work to be wasted “somewhere” on the blogosphere. One way to search for great opportunities is by using outreach tools such as Ninja Outreach (aff). The time saved as well as other features available, such as the sending personalized emails, will allow you to that allocate your time to more important tasks. In the long run, outreach tools can also be used to recontact publishers for more guest posts opportunities. Now that you have your list of guest post opportunities, it is time to analyze them. Probably you have collected much more websites you could write for in a lifetime. So you will have to make a selection of the ones you would like to write for today. Looking at the content you have on your own blog recently: which publishers are sharing similar articles? While they are all in your niche, the closer their content is to yours, the more you will benefit from the traffic generated by your guest post. Once visitors get in touch with your guest blog, they will probably stop by your website (or at least, that is the intention, isn’t it?). Unless you have sister posts, you will be leaving them empty-handed. We all love pageviews, but what we all love even more is engagement. It is great to know that thousands of people stopped by your website. The ultimate goal, however, is that they also leave comments and (re)share your content. This will put your guest post in a position to reach even further. Have the visitor’s level of engagement in mind when choosing blogs to contact for your guest posts. With the constant evolution of things, it is tempting to write about the latest technology available. If you know information that cannot be found anywhere else, I would encourage you to go for that. Who is not eager to learn more about the latest hits on the market? But the tricky aspect of such posts is that they may have a short life. How many platforms have come and gone forgotten in the past few years? What about the ones that are still here, but change their rules all the time? Try keeping up only with Facebook’s algorithm changes and you will always feel outdated. Am I saying that you should not write about news? No, not at all. But if you want to take your guest posts further, it is more interesting to write “timeless” content. Wouldn’t it be great if people read your article a couple months (or years) in the future and still found it relevant? When searching for guest post opportunities, make sure you pick sites that allow you to include a bio. On this bio, you want to provide relevant information to readers to strengthen your bond. What qualifications and experience connect you to the content? You want to make it easy for visitors to connect you with your article and your article with the content on your blog. Instead of adding a link to your homepage, opt for a landing page. Do you offer any freebies to subscribers? Make it the perfect opportunity to grow your mailing list. Guide your first-time visitors to your best and most popular content and show them you have even more to offer. Even though your guest post is being published on a site that is not yours, it is still your post. Treat it accordingly. How many times do you share your own content on social media? Which platforms do you use? For your guest post, you should do at least the exact same thing. If you are accustomed to sending 2 tweets on your content, send 4 from your guest post. Is your article part of a series that includes other writers? Promote them all! And do not forget to include references to the publishers on your promotion. Let them know of your efforts. 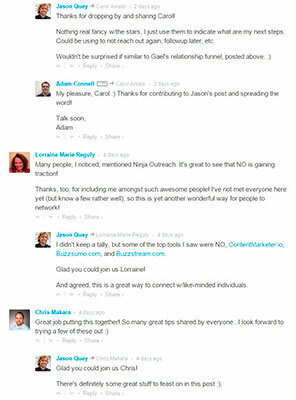 Did you include links to other blogs in the niche on your guest post? Please tell me you did it! Then mention these authors in your shares as well. It will already break the ice for future contacts (and drive leads). Also, make sure you follow up the comments closely. By replying to questions and feedback, you will be building a relationship with the readers and establishing your expertise. The life of a blogger is full of responsibilities. If you are serious about your website, you will have to put in place strategies that drive growth. Guest posting is one of the most effective strategies you can use when done right. Do not let fear of rejection hold you back from contacting exponent publishers. If you have your first pitch(es) rejected, it should never be a reason for quitting. Maybe the timing was not right or you could make use of some improvement. Keep the doors open for guest opportunities, including blogs you have already written for. If a site you would like to write to does not offer guidelines, do not hesitate to contact them anyway. 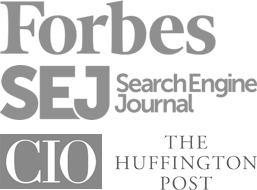 What is your number one way to take your guest post further?